For the longest time, I have dreamt of having a stainless steel food dehydrator to make vegetable chips, crackers, and other health-filled, nutrient-dense snack foods. 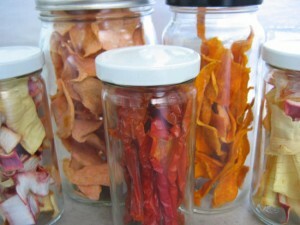 I don’t do well with plastic, so I needed to avoid the more affordable dehydrators on the market. But the stainless steel versions were priced prohibitively. What’s a girl to do? Manifest! Yeah, that’s right, I said manifest! I turned to my trusted manifest machine: Facebook. One post on Facebook asking my friends if anyone had a used stainless steel food dehydrator for sale and a local friend emailed me that my next door neighbor had one he never used anymore. Who knew?! A week later and I had purchased my very own, barely used 10-shelf stainless steel dehydrator at a fraction of the original cost. It really felt like the Goddesses were smiling down on me that week. Next step: the dehydrator experiments. My dehydrator did not come with a thermometer, so there is no firm and fast rule for how long to cook, and at what temperature. This makes it difficult to figure things out, especially since cooking time can go up to 24 hours. My first experiment was with bananas. I cooked them at a medium heat setting for about 7 or 8 hours and they came out delicious. I have read that one needs to put lemon juice on them to prevent them from turning black, but I had no problem and I did not use lemon juice. My second experiment was with a variety of fresh organic vegetables: collard greens, string beans, red peppers, yellow and purple onions, and sweet potatoes. I put the heat on the lowest of the high settings. After about 7 or 8 hours the collards were nice and crisp. Most people make kale chips but I am very reactive to kale so I had to try another leafy green. 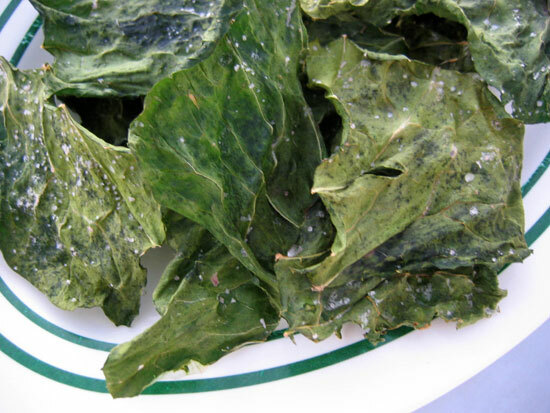 I had coated the collard greens lightly with olive oil and sea salt. They came out perfectly. However, they had a bitter aftertaste I was not too pleased with. After about 12 hours I pulled the rest out. Many of the chips seemed to be crispy even though a friend had warned me chips can take 24 hours to crisp up. She was right. The sweet potatoes and some of the thicker onion chips were not done. There was a funky, starchy taste to the sweet potatoes too. The red peppers and string beans were hit or miss; some were done others were still chewy. In both cases, I did not feel the end result justified the effort. In the end, my favorite chips were the purple and yellow onion chips. They were really delicious. Those are the ones I will make again and again. 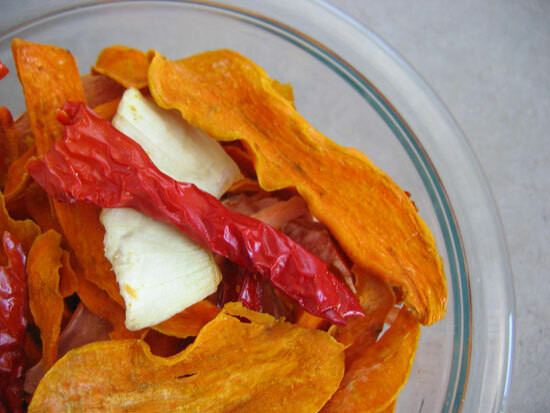 My next dehydrator experiments will be crackers…stay tuned! 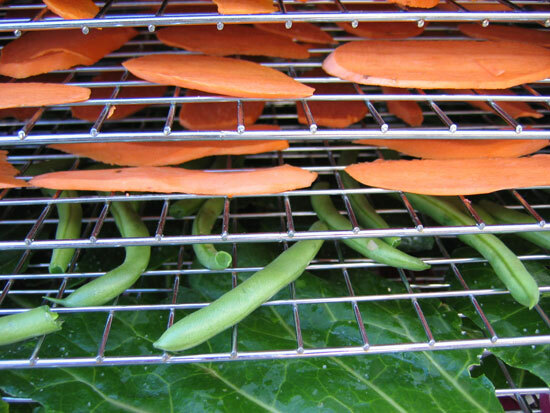 Lay flat on dehydrator shelves and cook for desired time. You can taste test veggies as you go.